The first thing to do when looking to purchase a diamond is to learn about the 4 C’s – Cut, Colour, Clarity and Carat – which determine a diamond’s quality and hence value. The Cut is generally considered the most important of the 4 C’s, as it is what determines the sparkle, or brilliance, of the diamond. A diamond might have the best colour and clarity, but without being well cut, it will not sparkle. We generally recommend buying a diamond with a Cut grade of “Very Good” or better. Colour and Clarity are also important determinants of a diamond’s quality. For a solitaire diamond ring, we would generally recommend choosing a Colour grade of “H” or better, but for other types of jewellery such as earrings or pendants a slightly lesser colour grade would be acceptable. Whilst the Clarity is also important, it is a somewhat less visible aspect of a diamond’s quality. If your budget allows it, we generally recommend choosing a Clarity grade of “VS2” or better, although the “SI1” and “SI2” grades offer excellent value for money. Importantly, it is only diamonds with Clarity grades lower than “SI2” that have inclusions that are visible to the naked eye. The Carat weight of the diamond is usually determined by your budget, however it is possible to choose a lower Cut, Colour or Clarity grading for the sake of affording a larger diamond. There are no rights or wrongs – it is simply a matter of personal taste whether size or quality is more important to you. Whilst the internet is a valuable tool for research, it is very important to be able to view your diamond before you purchase it. By viewing a selection of loose diamonds in person, you will get a much better understanding of the 4 C’s allowing you to make a more educated choice. Most people are surprised to see how small the incremental differences are between each colour and clarity grade for instance, even though the price difference can be very substantial. At Larsen Jewellery you are able to come in for an obligation-free diamond appointment, where one of our jewellers can illustrate the 4 C’s with actual diamonds. The team at Larsen Jewellery comprises not only qualified jewellers, but diamond graders with over 40 years’ combined experience, ensuring we can answer any questions you may have. Diamonds come in a wide range of shapes. Brilliant cut (round) and Princess cut (square) are very popular, but there a many other beautiful shapes. 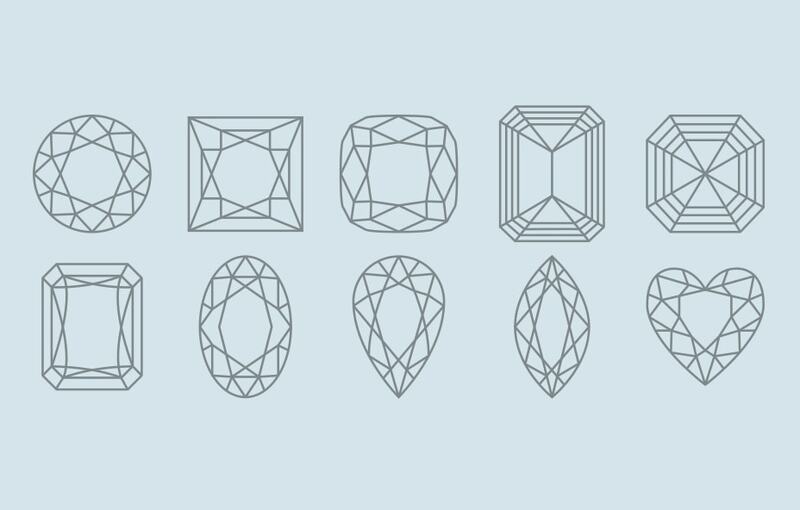 Radiant, Emerald, Asscher, Marquise, Oval, Pear, Cushion and Trilliants are just some of the many other shapes available. 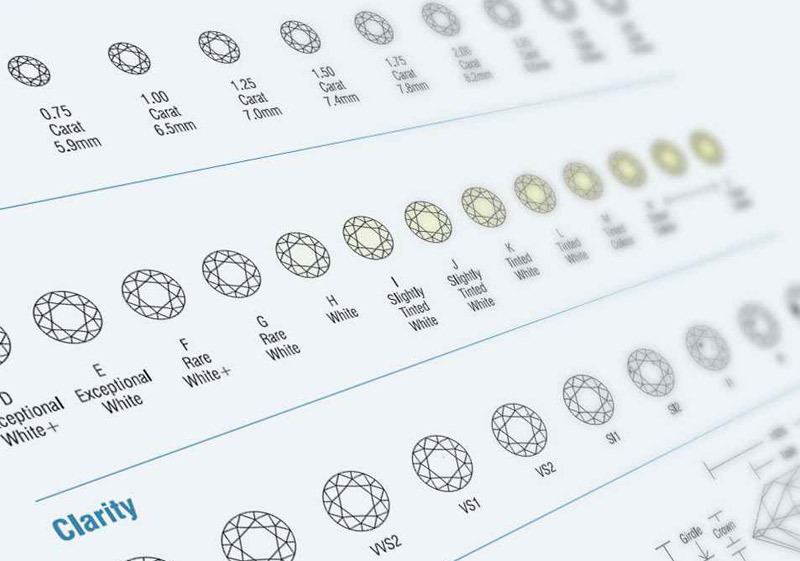 Click here to learn more about the various diamond shapes and have a look at our picture gallery to view some examples. 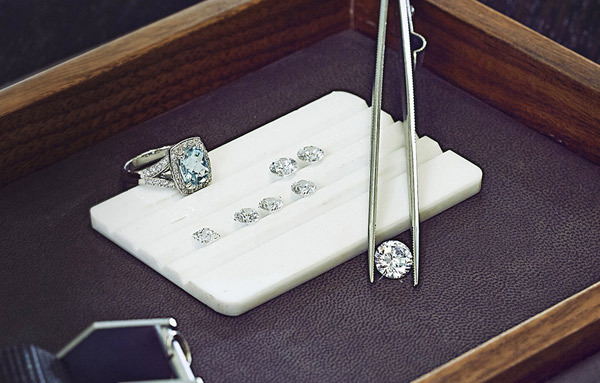 Diamond prices vary greatly depending on where you buy them from. Retail shops have high overheads (expensive rents and commission-based sales staff) and have to cover their costs by charging higher prices for their diamonds and engagement rings. At Larsen Jewellery by contrast, we sell loose diamonds and handcrafted jewellery directly from the jewellery workshop and you deal directly with our jewellers. Larsen Jewellery is dedicated to selling loose diamonds at competitive workshop prices, offering you true value for money. When shopping for a loose diamond, you should also be aware that some diamond wholesalers quote prices that don’t include GST, which is not only misleading, but is also an illegal practice. Diamonds should always be accompanied by an independent certificate to verify the details of the stones. The person selling you the diamond should not be the person who has issued the certificate, ensuring an unbiased opinion. Whilst certification is essential, diamonds should not be bought on the strength of the certificate alone. Some certification labs are not as reputable as others, and anything that looks too good to be true, usually is. For all of these reasons and more, it is essential to be able to view your diamond before purchase. All Larsen Jewellery diamonds over 0.50ct come with an independent certificate from either GIA (Gemmological Institute of America), GSL (Gem Studies Laboratory) or DCLA (Diamond Certification Lab of Australia). Before you start your search it is important to set yourself a budget, as diamond prices vary greatly depending on size and quality. This way you will be able to find the best possible diamond that suits your circumstances. A common guide for what you should spend is roughly two months’ wages, however this is just a guide and you should choose a budget that is comfortable for your circumstances. The team at Larsen Jewellery is able to create beautiful engagement rings, to suit a wide range of budgets.